THE DEAL: The new Anacaona Boutique Hotel, which opens October 15, will offer 27 rooms and suites from just $150 a night, based on double occupancy. WHY IT’S A DEAL: This is a rock-bottom rate for the pricey and gorgeous island of Anguilla. The hotel, located in the former Sirena Resort, will feature rooms with verandas overlooking the gardens and/or the sea, while the suites have small kitchens. 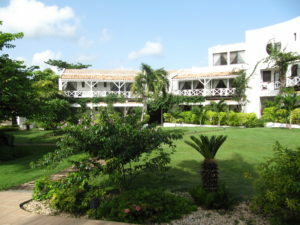 Resort facilities include two swimming pools, a garden-poolside restaurant and bar, drinks and food service on the beach, a boutique, watersports gear, a computer room, free Wi-Fi and Internet. The hotel will feature local musicians and local dancing, with carnival evenings and dinner theater. DETAILS: Room are $150 a night, based on double occupancy, through December 16, 2010. So how to sign up for this?